The Bottom Line: Is BoomTown Worth the Investment? BoomTown is a robust platform. It’s not just a CRM, it’s a technology partner. It’s a full-service ecosystem that streamlines your entire business. It’s also a big investment. 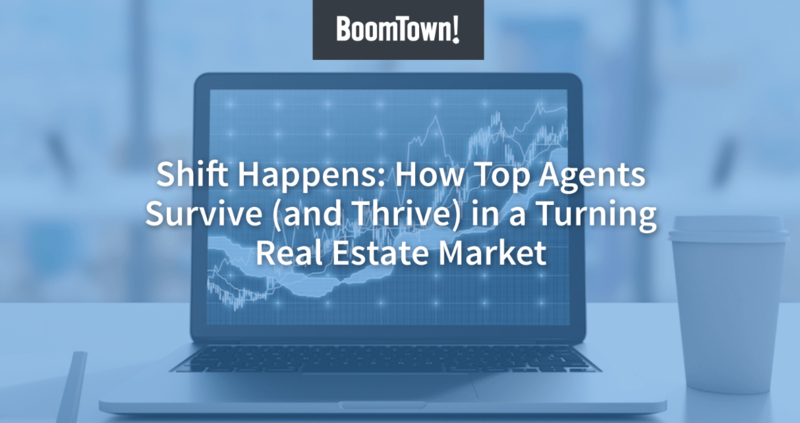 And that can be scary for a single agent in a rapidly changing industry! Choosing the right technology partner in today’s marketplace is no easy feat. CRMs come by the dozens, each with their own toolsets (and with varying prices). And let’s not forget about the multitude of websites, back-office software, and lead gen services available too! The result is often a frankenstein of tools used by any real estate business. You have one company doing lead gen. You have another handling your website. You have a couple systems helping you communicate to leads. The list goes on. But so do your costs. Don Harkins realized this. So, he began his search for a partner, not a provider. Someone who could offer the right tools, integrated with each other, and make up the value of paying for a dozen individual solutions. He landed on BoomTown. Don’s story isn’t a one-chapter book though. Growing his business was a game of small steps. Not necessarily the big, ambitious goals you always hear about. Growing as a real estate agent was a two-fold problem for Don. He knew he needed the right tech-stack to empower his own work, but he also knew he needed the right support from his broker. When he first stepped into real estate, he joined a boutique agency, where the training was trial-and-error. He had to gather things on his own and slowly learn where he should invest his time and energy. Hence his shift to Keller Williams. Their network provided a stronger support structure where he could gain a model for success. When he joined BoomTown, he later learned that success could be even better. After attending our annual user conference, BoomTown Unite, Don realized there was money still sitting on the table. It just needed to be grabbed. Essentially, there were more tools he could begin leveraging to see better sales. In his first months with BoomTown, Don saw an $11,000 commission close. It was a lead who registered on his website within 30 days, and began showing listings to within 50 days. It was a lot faster than what Don had been averaging. Rounding out his first 90 days with BoomTown, Don had already seen a profitable return-on-investment (ROI). And he wanted more! He went from a single agent to a small team, hiring an assistant and buyers agent. And he was ready to graduate from the “Launch” version of BoomTown to the “Core” version (i.e. the next step up). The Seller Lead Suite allows his team to drive more seller lead traffic, capture their information, and manage the conversations with ease. The BoomTown Owner’s Community and Sharing Library offer a network of agents and brokers, working together and sharing knowledge. Don’s team takes advantage of the Mojo Dialer and other integrations that further save time and streamline your business. Accountability and Reporting Dashboards provide valuable insights into agent performance and areas for improvement. Best-Fit Leads expertly matches leads to their ideal properties. Advanced lead filters eliminates the “scavenger hunt” for leads in your system. Know exactly who is who, who you need to talk to, so no opportunities fall through the cracks. Bulk texting is a favorite for sending personalized communication to a large pool of leads in seconds. We understand that there’s no one-size-fits-all package. This is why BoomTown’s packages are designed to fit the needs of individual agents as well as teams. Start with the basics: a strong foundation, a healthy pipeline, a foolproof system. Then grow at your own pace, with BoomTown in your corner.